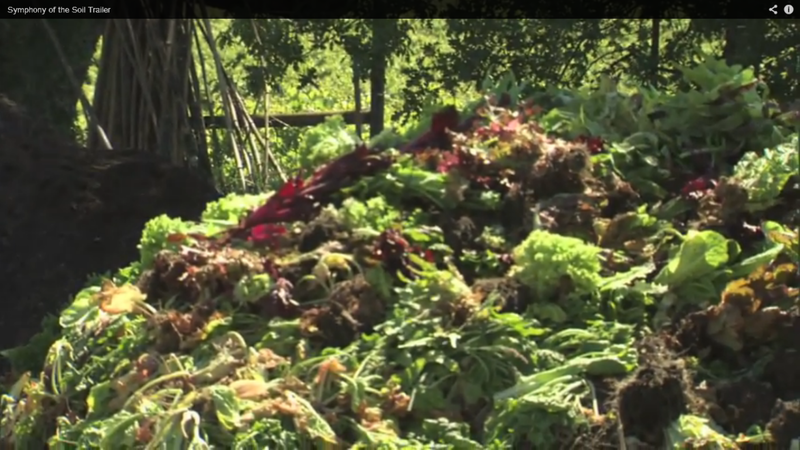 Transition US October Newsletter - Pulling Out All The Stops! 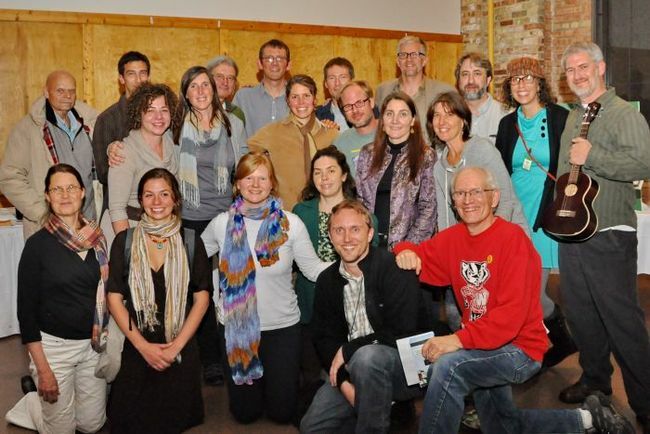 Contact us to learn about hosting a Transition LAUNCH or Effective Groups Training! 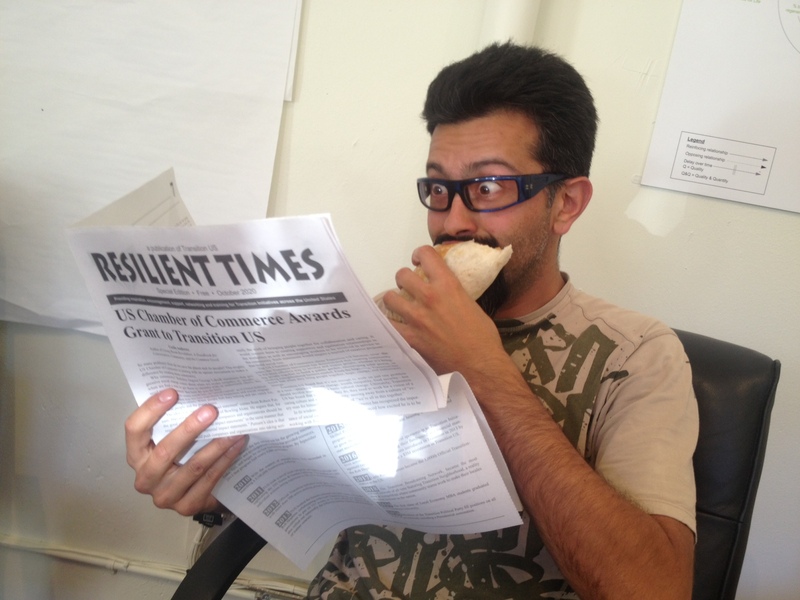 Have you seen Resilient Times, our future newspaper? With articles submitted by Transitioners around the country, Resilient Times imagines what the US could look like in 2020, after with 7 more years of Transition in action. 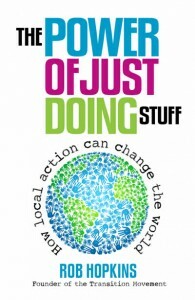 Rob's new book, "The Power of Just Doing Stuff," is getting rave reviews from treehugger, The Guardian, and more. We're happy to announce that TPOJDS is now available for purchase in the US. Ask your local bookstore to order it through Independent Publishers Group. This month Transition took the US by storm! 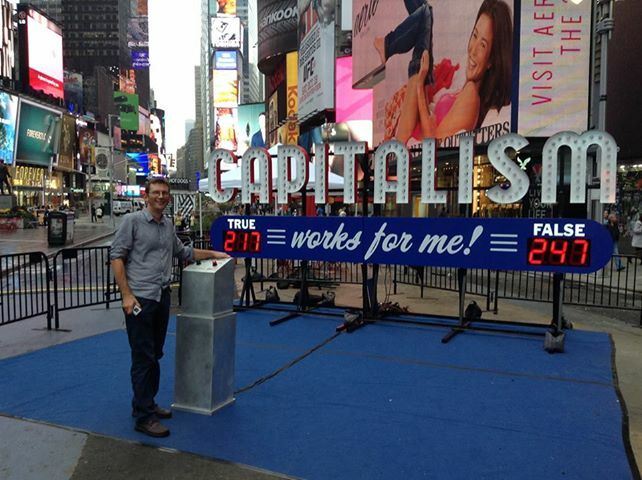 In 17 days, Transition Founder Rob Hopkins visited 13 cities across the US to make the case for investing in local action - the culmination of months spent organizing a national Transition awareness tour to coincide with Rob's first visit to the US. The energy of Rob's visit rocked Transition efforts across the country - reaching new audiences; building capacity of hosting teams; fostering collaboration with community organizations, businesses, and local government; and increasing connectivity between TIs at the regional and national levels. One major theme emerging in the wake of Rob's visit is the role of Transition in building the new economy and creating livelihoods. Transition US is excited to begin exploring a US roll-out of Transition Network's Reconomy Project. 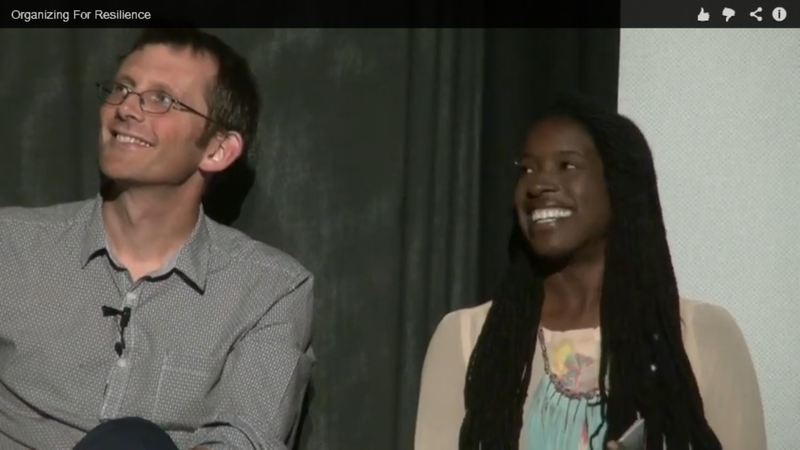 For more tour highlights, watch videos of the public events at Tufts University and in Oakland, read one of Rob's blog posts about the trip, check out Rob's interviews with Grist, Alternet, and Uprising Radio, and stay tuned for more coverage! We are deeply grateful to and inspired by the local hosting teams who pulled out all the stops to make the tour a huge success, and we're excited to build off that momentum to take Transition in the US to the next level! 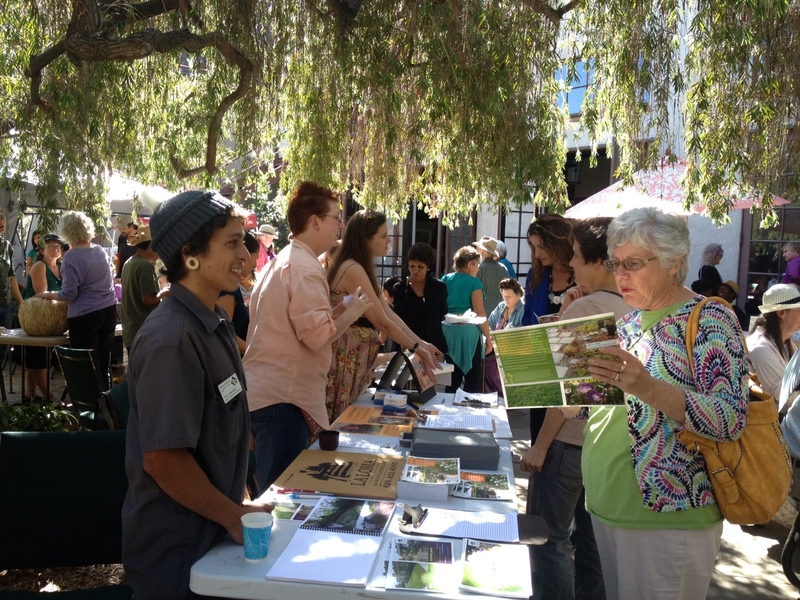 Photos (from top): Just Doing Stuff Fair in Pasadena, Brew City Abundance Bash in Milwaukee (courtesy Carol Kraco, Kraco Photography), Rob Hopkins in Times Square (courtesy of Asher Miller), Organizing for Resilience event in Oakland, Transition Milwaukee core team (courtesy Carol Kraco, Kraco Photography). This month we welcome the 142nd and 143rd Official Transition Initiatives - Transition Longmeadow, Massachusetts and Transition Livingston, Montana. Is your organization agile and adaptive to its environment - even as it scales? Are the roles within your organization clear, yet also continually evolving, and driven by those doing the work? Is the work aligned with your organization’s purpose, without egos getting in the way? 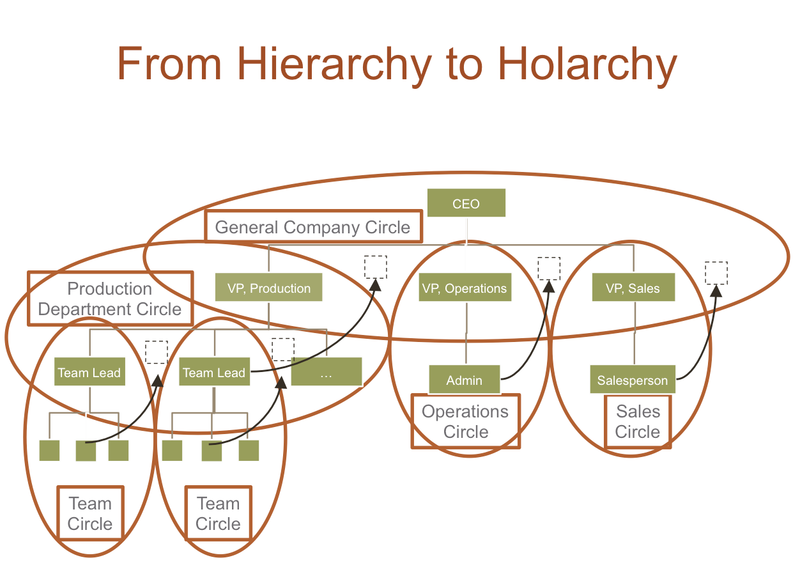 Holacracy® is a way to embed conscious practices into all aspects of your organization. This free one hour webinar introduces the core principles, structure, and practices used in Holacracy through real-world stories, presentation, and interactive Q&A. Join us for a whirlwind tour of this compelling new social technology for organizations, and leave with a new vision for what's possible. Why a Transition Elders' working group? Baby Boomers on up are quickly becoming one of the largest demographics, are increasingly retired with leisure time, and possess a desire to "give back" to their communities. Elders' experience, wisdom, needs and capacities are different from younger folks' and are best identified, in this rapidly changing world, by themselves. In this TeleSeminar Alexandra Hart and Sandy Scotchler from Transition Sebastopol will share how the Elders have become one of their strongest working groups. 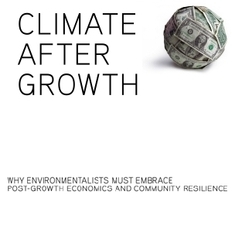 In this provocative paper, Rob Hopkins and PCI Executive Director Asher Miller make a convincing case for why the environmental community must embrace post-growth economics and community resilience in their efforts to address the climate crisis. Looking for ways to build your local economy? 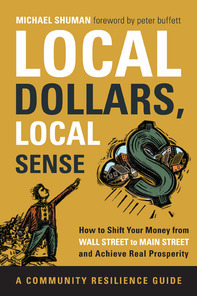 Here are 24 tips from Michael Shuman, author of Local Dollars, Local Sense. 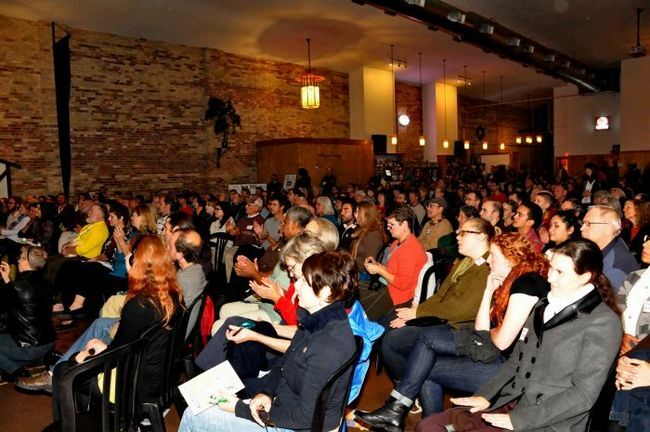 These tools are elaborated in Local Dollars, Local Sense: How to Shift Your Money from Wall Street to Main Street and Achieve Real Prosperity, one of three Community Resilience Guides from Chelsea Green and Post Carbon Institute. Michael Shuman is currently leading all-day workshops on these ideas around North America. Resilient Against What: How Leading U.S. Municipalities Are Understanding and Acting on Resilience. A recent survey commissioned by Post Carbon Institute found that leading US municipalities already have a much more sophisticated understanding of resilience involving economic, energy, and social challenges—and they're putting it into action through policies, regulations, and programs.